Hardly a month goes by when we don’t hear it said that Vancouver is one of the best cities in the world to live in. However, many people find themselves isolated and lonely. A recent report by the Vancouver Foundation found the most pressing citywide issue isn’t poverty or homelessness, it is isolation and disconnection. Refugees, who arrive in hope of finding safety and support, experience this many times over. Gitara and Lina (not their real names) met in the Dubai airport while on their way to the United States for a conference. As female government officials in their home country, they both were experiencing mounting danger and feared for their safety. After confiding in each other their intention not to return, they used the trip as an opportunity to escape. “It dawned upon us that we were no longer alone and could face this terrifying journey together with more courage and confidence.” recalls Gitara. This provided a powerful catalyst for their friendship. 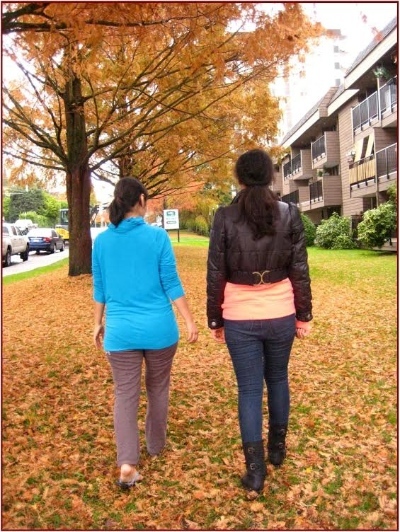 When Gitara and Lina arrived in Vancouver they were quickly connected to Journey Home Community, which works with refugee claimant families in the area of housing, settlement support and relational care in Metro Vancouver. “Looking back, I don’t know what we would have done, or where we would have gone without Journey Home, because we arrived with little money and knew no one.” Gitara recounts. They were invited to move into one of the Olivet Welcome Houses in New Westminster, which became their home for their initial four months. Far from her family and friends, Gitara pinpoints the friendships that flourished whilst living in the Olivet house as her source of courage and determination in her refugee journey. Debs Munn is the housing coordinator for the Journey Home Community. The Journey Home Thrift store on Edmonds near Kingsway was recently named ‘Burnaby’s Favourite Second Hand Store’ for the second year in a row. I completely agree. In all my outreach work with the poor it is the friendships, conversation, and community that keeps people coming back for more. Sure, the food is good, but without the fellowship these events would be empty.